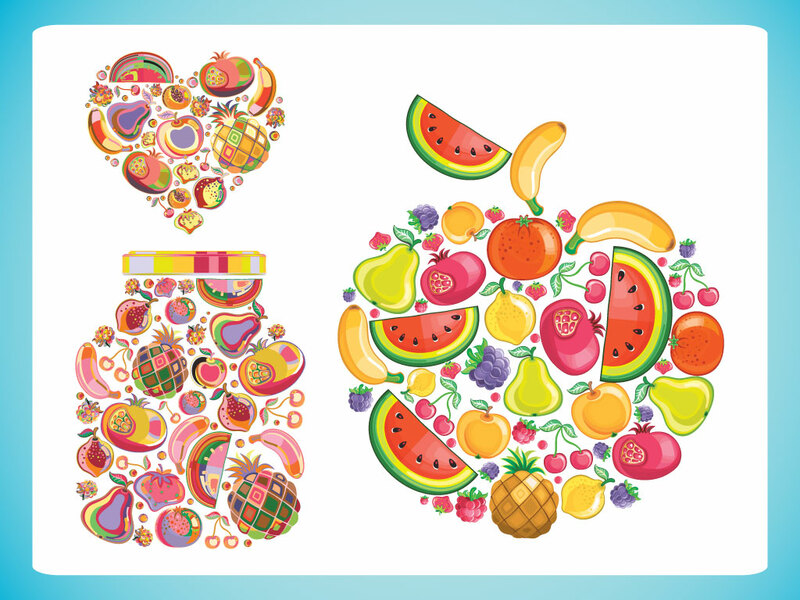 This fruit vectors are done in a cartoon style and are in the shape of an apple, heart and glass packaging shapes with melon, cherry, blackberry, banana, pear, pineapple, grapes, lemon, orange, plump, raspberry, and watermelons. Great vectors for your food and health designs. Tags: Apple, Apricot, Colorful, Food, Fruit, Grapes, Healthy, Watermelon.